For some months now we’ve been working closely with a Rabbi from the Kashrut Authority on getting Queen B candles kosher certified. Many of my friends are Jewish and I’ve been blessed to be a part of plenty of their celebrations. All of which seem to feature candles. All of which (without exception) were lit by paraffin candles – unless I provided the beeswax ones! It seems a travesty to bring your loved ones together to breathe in the fumes from petroleum by-product candles. I figured there was no point in whingeing about it. So we’ve done something about it. 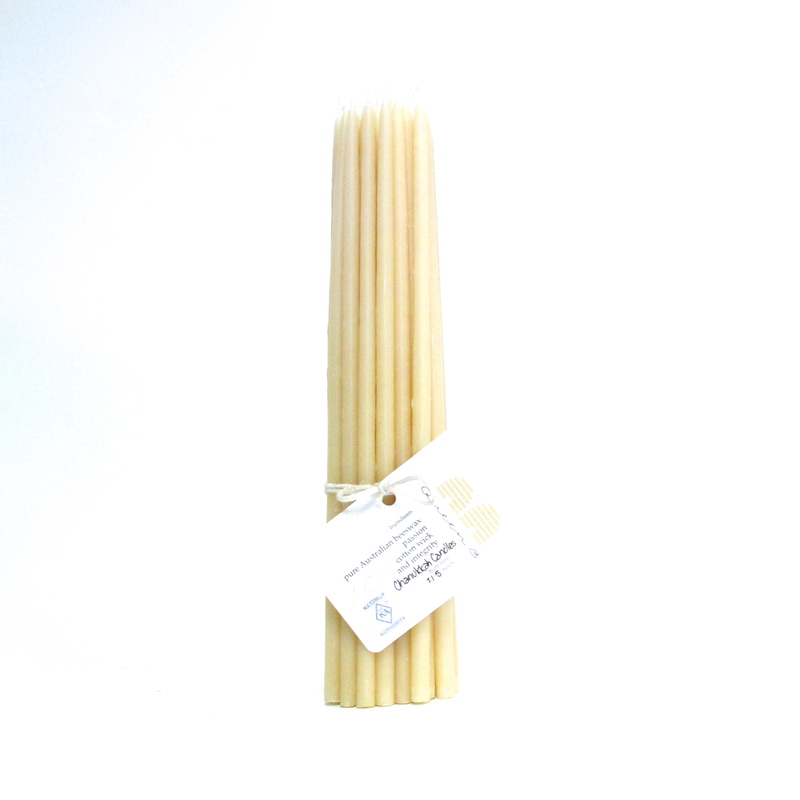 We’re delighted to now have Kosher Certification for our entire range of candles. So what, you may ask, makes a candle kosher? ‘Kosher’ means ‘fit to use’. It is a term most commonly applied to food that meets certain requirements, but can also be applied to other products the meet the requirements of being fit for use. 1. the fuel must be from a kosher source – pure, unadulterated, natural beeswax gets a tick. Since it is not a food (ma’achal) its status as a product secreted from bees (yotzei min hatamei) does not make it non-kosher. Beeswax is considered kosher provided that no non-kosher solvents are used in its processing (at Queen B we use water), and it contains no non-kosher additives (we use no additives at all). 3. the candlemakers – we got a tick there too. Whilst our tealights, tapers, solid pillars and Bee Lights are all perfect for Shabbat candles, the Rabbi has also been advising me on the requirements for specific occasions. Some of those are taking a little longer in testing than others! First to be ready are our Chanukah candles. And just in case you think I’m being tricky and these are just Bee Lights by another name, they’re actually not. They are slightly fatter (to fit in the standard Menorahs in which they were tested) and slightly shorter to meet the burn time requirements. We look forward to adding new products to our range for specific occasions or specific requirements. Stay tuned. Mazal tov on obtaining kosher status! I know I’m a bit late in saying so, but it’s still good to finally see a beeswax candle provider who has this. I’ve been looking for kosher beeswax (not candles — just blocks and blocks of beeswax itself) for waxing my homemade cheeses for preservation, and have consistently come up zilch. Do you happen to sell beeswax by the pound? If so, for how much? And could you provide a link or contact information to your certifying rav or agency, so I can have my rav check and see if that’s one of the authorities that my community can accept? Mazal tov… and thank you for your email. The certifying authority is the Kashrut Authority of Australia (the highest authority in Australia) and you can read about the certification here – http://www.ka.org.au/index.php/Kosher_KApers/Kosher_KApers_Volume43.html. Yes we do sell beeswax (by the gram and kilogram – we’re Aussies!) 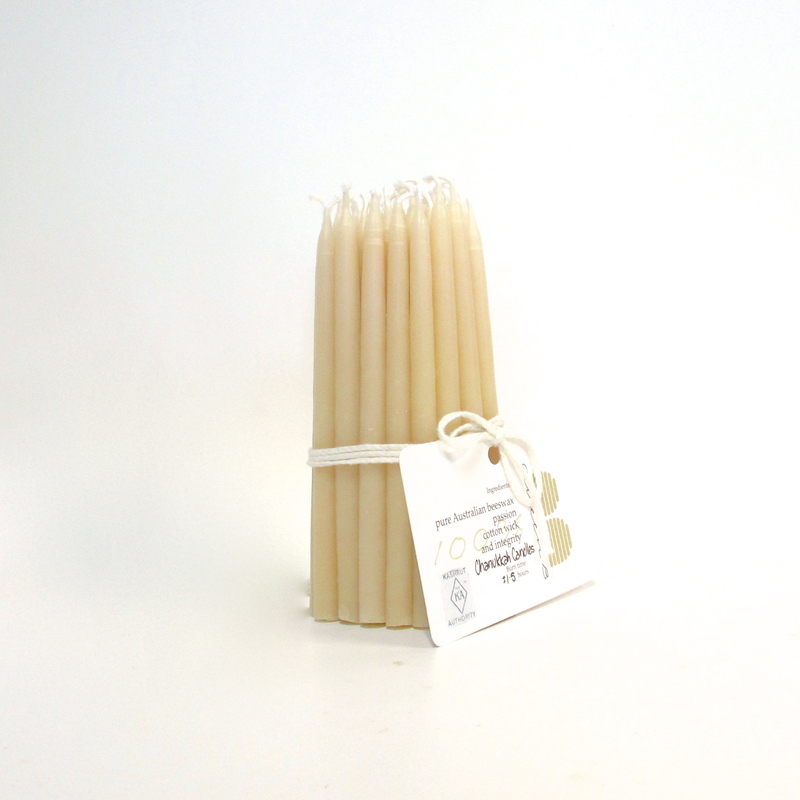 and you can find it on our website here – https://www.queenb.com.au/Candlemaking-Supplies-c196s44. Was just looking online for Chanukah candles. than I found your webpage. This is so nice from guys! having a big smile all over my face. thanks for doing this!